MELVILLE, N.Y. — At the 2016 Consumer Electronics Show (CES) in Las Vegas, NV January 6-9, Canon U.S.A., Inc., a leader in digital imaging solutions, will challenge attendees to see the impossible at booth #13106 in the Central Hall. Canon’s booth will feature a Canon 8K Ride Experience where attendees can see the future of visual imaging and experience, firsthand, the physical and emotional reactions that take place when an 8K video projected on a large screen simulates a physical journey. There will also be an 8K Photo Gallery that displays precise moments from an 8K video. The Canon booth itself will be composed of three environments simulating a home, an office, and a professional studio. Within each zone Canon will offer hands-on demonstrations of current real-world imaging solutions for attendees to experience themselves. Introduced at Canon EXPO, held this past September in NYC, this 8K Ride Experience projects 8K video on large screens surrounding viewers to give them a unique sense of movement while sitting or standing still. By experiencing imagery from all angles, the technology can simulate a physical journey often sparking a physical or emotional reaction. In the home environment attendees can experience the power of an image as photo enthusiasts, crafters, and artists will have the opportunity to take part in hands-on demonstrations using Canon cameras and lenses to create different perspectives and print the images captured on Canon PIXMA printers. The office environment will allow visitors to see a smarter workplace showing how Canon products work together to streamline daily activities in a real-world office setting. The future of creativity can be seen as Canon invites visitors to step into a professional studio environment and experience a day in the life of a photographer or videographer. Speakers and demonstrations will feature the full range of Canon imaging products and how they meet the needs of today’s creative image makers. At the booth’s center, attendees can navigate up the Canon Lens Tower, which showcases large and long-zoom lenses from Canon’s line of more than 103 Canon EF Series lenses as well as Canon’s innovative CINE-SERVO 50-1000mm lens capable of shooting brilliant 4K video at up to 1500mm with its built-in 1.5x extender. The tower will offer a unique and innovative 360 degree visual perspective of the CES show floor. Visitors are also encouraged to browse Canon’s photo gallery featuring images captured with Canon EOS DSLR and PowerShot cameras and printed on Canon imagePROGRAF and PIXMA PRO inkjet printers including the new imagePROGRAF PRO-1000 printer. Canon service and support technicians will be on hand to answer questions via live chat as well as demonstrate Canon Maintenance Service live in the booth. Visit Canon at CES 2016 Booth #13106 in the Central Hall to view all three unique environments, see first-hand the latest products and the enjoy the 8K Ride Experience and 8K Photo Gallery. Follow Canon throughout the show on Instagram at @CanonUSA and Twitter at @CanonUSAimaging. Use #CanonCES to join the conversation. Will There Be A Canon EF 800mm f/5.6L II Lens? In my earlier post, I talked about which cameras and lens to expect from Canon in 2016. The EF 800mm f/5.6L II is considered a long shot. Although Canon has multiple patents covering its replacement, including perhaps a built-in extender version, much like the current EF 200-400mm f/4L IS USM 1.4x Extender, it is considered highly unlike such a model will be made due to the optical limitations and added weight. 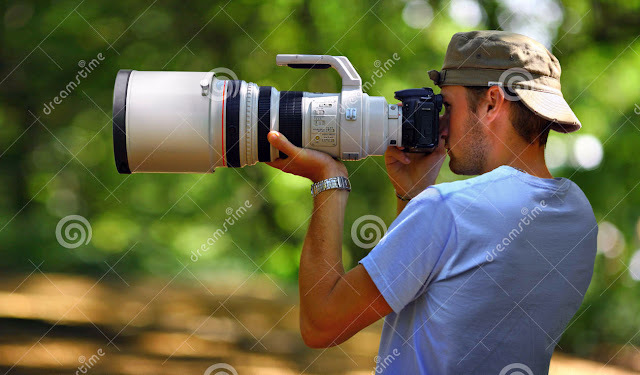 There is however a new Canon patent for the EF 200-600mm f/4.5-5.6L lens but it does not appear to be a Super Telephoto model. 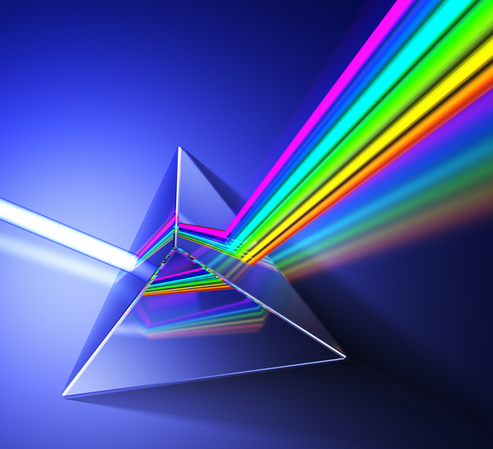 My readers know I am a big fan of Canon Diffractive Optics (DO) lens. I bought their first Super Telephoto EF 400mm f/4 DO in the mid 2000s and was very happy with it even knowing its limitations. As a wildlife photographer, I had to trade a little bit of sharpness for the unmatched mobility the lens offers. 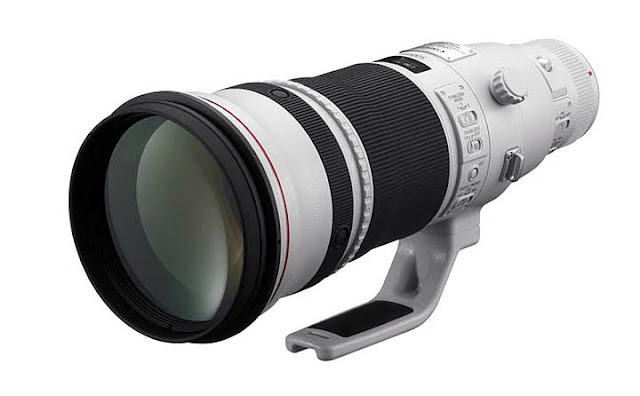 Then in 2014, Canon announced the EF 400mm f/4 DO IS II and the tradeoff is gone. It has been almost 15 years since Canon released the first DO lens and they have pretty much perfected the technology. Recently, at the Canon Expo 2015, they exhibited the EF 600mm f/4 DO BR lens. Together with the EF 200-400mm f/4L IS USM 1.4x Extender, EF 600mm f/4L IS II and EF 600mm f/4 DO BR lens, the need for a big EF 800mm diminishes. 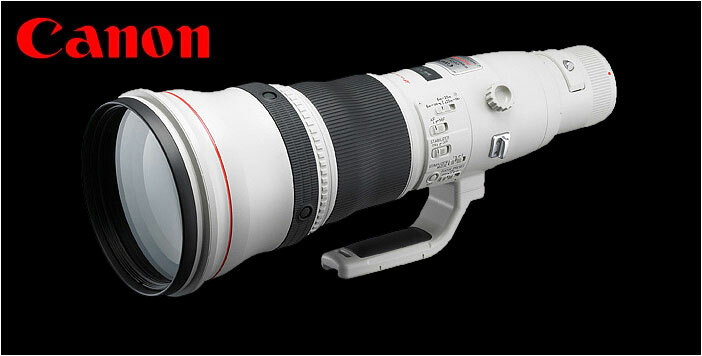 That is why I am not certain Canon will even announce a replacement to the current EF 800mm f/5.6L IS lens any time soon. More to come . . . . . Capture Integration did a quick side by side, Live View comparison between the Hasselblad and Phase One 50MP Digital Backs. From the video below, it appears Phase One has the advantage. Of particular interest is Phase One's superior refresh arte, dynamic range and contrast. Egami uncovered a new Canon patent for a CN-E 70-200mm t/2.8 Cinema lens. The NAB Show in Las Vegas in April is generally a launch pad for any new Cinema EOS product. Announcements are usually made in late March. At the show, Canon is expected to demonstrate its 8K display, the Cinema EOS C500 Mark II camera and new Cinema lenses. 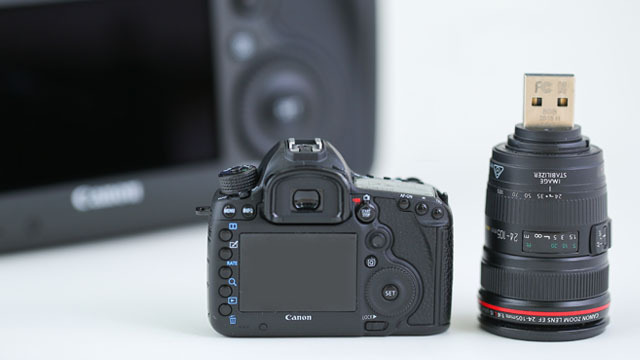 Why Do Canon EOS-1D Cameras Cost More? Ever wondered why professional grade cameras like the Canon EOS-1D and Super Telephoto lenses cost more? The reason is they are made to take on some of the toughest environment a piece of gear might encounter. Although not water proof, they are water resistant and weather-sealed, can take punishing temperatures and still perform their functions. Some of the newer Canon cameras like the EOS-7D Mark II, EOS-5D Mark III and EOS-5Ds are also built solidly. In 2012, Swiss photographer Alessandro Della Bella was involved in the One Day On Earth project. Over the course of a few days and nights, he shot about 10,000 photos and a time-lapse video of the night sky on Mount Piz Corvatsch and Piz Nair. During the night, the temperature went down to about -10+ degrees Fahrenheit (-23+ Celcius). 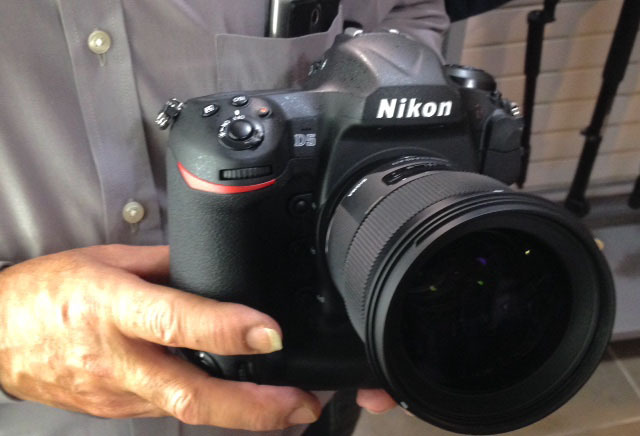 He used five Canon DSLRs, including the EOS-1Ds Mark III and EOS-1D X. When I was in the Canadian sub Arctic in November, the temperature was actually below that and my EOS-1D X, EOS-7D Mark II, EF 100-400mm f/4.5-5.6L IS II and EF 400mm f/4 DO IS II all performed quite well. 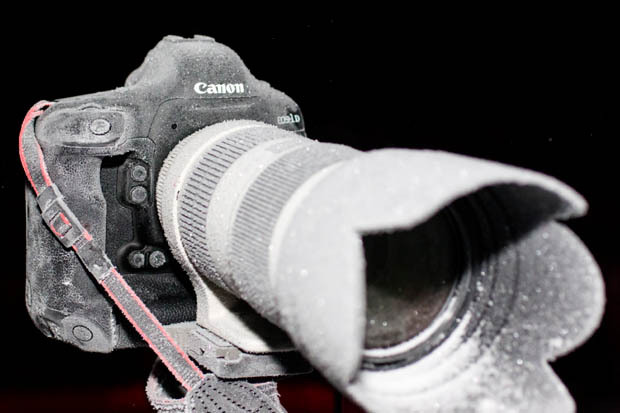 Those who have gone on photos shoots in very cold places know two of the biggest challenges while photographing are the lens freezing up and the batteries draining fast. Extra replacement of both and keeping the equipment covered until the very moment of use are essential. 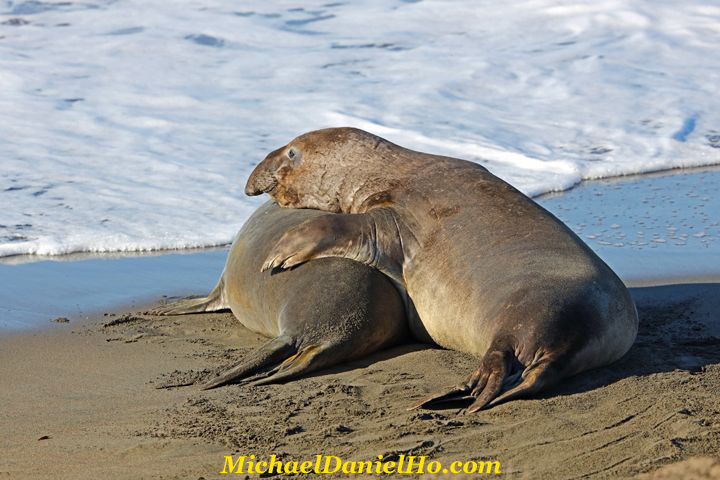 My readers know I am The Wildlife Ho-tographer using Canon equipment for over 25 years photographing the natural world. My preference is to travel light and shoot without a tripod. It is a definite trade off I have accepted but it gives me maximum mobility and flexibility. I do use monopods and tripods when the photo shoot is long and the wildlife do not move too frequently. Canon EOS-1D X Mark II full frame DSLR? The following cameras and lens are expected to be announced by Canon in 2016. Some are more likely than others. The first three cameras are full frame DSLRs, follow by APS-C, mirrorless and Powershot cameras. Predicting which glass Canon will announced is tough. The following lens may be available for sale some time in 2016. The EF 800mm f/5.6 and EF 200mm f/2 are least likely, followed by the EF 200-600mm f/4.5-5.6 and EF 600mm f/4 DO. The other EF lens are better than even chance we will see some time next year. I am very eager to get my hands on the EF 600mm DO and EF 200-600mm lens. Sigma, the independent lens manufacturer has been coming on strong lately, building on their successful ART line of lens. Read my post on an interview with their CEO. Canon will be updating their EF 50mm f/1.4 and EF 50mm f/1.2L lens some time in 2016. Their designs date back to 1993 and 2006 respectively and can benefit from a Series II upgrade. Canon earned several distinguished awards for its consumer products in 2015, such as the Canon imagePROGRAF PRO-1000 receiving “Printer of the Year” from ImagingResource.com, the MAXIFY iB4020 and MAXIFY MB5320 were named “Editor’s Choice” from ComputerShopper.com and DigitalTrends.com, respectively. Canon XC10: “Post Pick Award – Coolest New Product NAB 2015” – Post Magazine; “Best in Show NAB 2015” – TVTechnology.com; “Honoree – Digital Imaging” – CES Innovation Awards; “Editors Pick” ? Resource Magazine. Also included in this year’s award line-up was recognition for other products from Canon’s camera and lens portfolio, including: the Canon EF400mm f/4 DO IS II USM received the “Hot One Award – Best Action Lens” from Professional Photographer Magazine; the Canon EOS Rebel T6i received “Dave’s Pick” from ImagingResource.com; the Canon PowerShot SX60 HS received the “Editors’ Choice” from PC Magazineand the Canon Speedlite 430 EX II received a “Pop Award 2015” from Popular Photography. Overall, Canon’s business solutions were recognized by DPS Magazine naming Canon as a “Top 30 Readers Choice,” and IDC named Canon as a leader in IDC Marketspace on Smart MF peripheral assessment report. For the seventh consecutive year the Canon U.S.A. Technical Support Center has earned the Center of Excellence certification by BenchmarkPortal, one of the most prestigious awards in the customer service and support industry. The award recognizes the Company’s rank in the top 10 percent of all call centers surveyed. The Océ VarioPrint i300 sheet-fed color inkjet press has received the prestigious 2015 InterTech Technology Award from the Printing Industries of America. The recognized Océ VarioPrint i300 model is the first-of-its-kind digital high-speed, sheetfed inkjet press designed to help accelerate the printing industry’s transition from offset to high-volume digital output. Sigma is one of the most innovative lens manufacturers in the last few years. Rumor has it Canon wanted to purchase the company but could not agree on the price so it was abandoned. Sigma's line of Art HSM prime lenses have won many praises and is giving much more expensive lens makers, like Zeiss a real competition. The interview below is of Sigma's CEO, Mr. Kazuto Yamaki. He is the son of the founder and talks about future plans and goals for the company and the photographic industry. The video below gives a good explanation on the history and science of lens design, manufacturing and how it had impacted photography. It is a bit long (about 25 minutes) but around the 14th and 18th minute, the video talks about the lens' place in photography and modern day lenses, respectively. The last 2 minutes explain how the Japanese lens manufacturers come to dominate the present day lens market. It's worth a look for those interested in optics and photography. Egami has uncovered another Canon patent for the EF 16-40mm f/4 lens. The venerable EF 17-40mm f/4L could be in for a replacement in 2016. Canon has been making their new, shorter focal length 'L' lens bigger, case in point - the new EF 35mm f/1.4L II. The expected EF 16-35mm f/2.8L III, which is out in the field for testing, may also be slightly bigger than the current model. There has been a series of new patents discovered this year. Canon will be announcing more EF and EF-S lens in 2016. 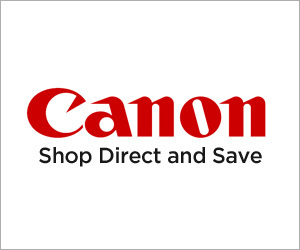 The Canon USA Store has some interesting refurbished equipment for those who are still shopping for camera gear. 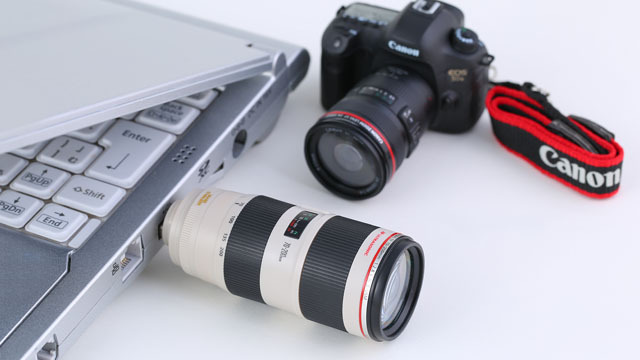 All camera and lens are covered by a one year Canon USA warranty. Before you recoil at purchasing used stuff, read my post on buying refurbished camera equipment and my list of recommended lens and cameras for wildlife photography. Laura Morita of Canon Digital Learning Center offers 10 tips on how to get sharper family images during the holiday season when friends and family congregate and lots of photos are taken to remember the gathering. Must admit I rarely do any of the following myself. 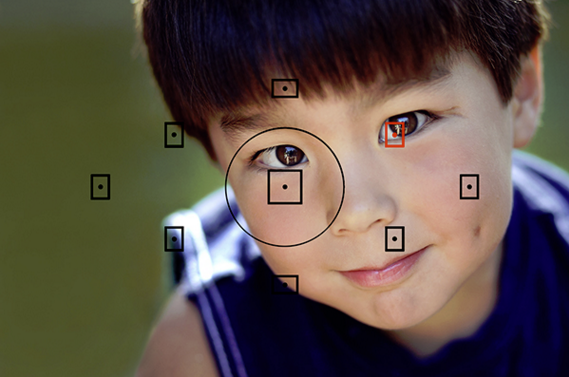 Focus points are the small boxes you see in your camera’s viewfinder. It’s here that your camera’s AF (autofocus) system is able to “read” your subject, and drive the lens to deliver a sharp image. If you're just getting out of automatic green mode, then it's likely that you've also been relying on your camera's automatic AF (autofocus) point selection. With automatic AF point selection, all your camera’s AF points are active — you are letting the camera grab focus on whatever it deems important. This may or may not be what you consider important. You also have the option of switching to Manual AF point selection mode. In this mode, you choose one AF point, and you determine what you want to focus on by placing that AF point on that area of your scene or subject. For portrait photographers, this is most often the subject's eye that is nearest to the camera. When I am shooting a portrait, I determine what I want my composition to be and then toggle my AF point so that, when looking through my camera, I am able to place my active focus point on my subject's eye. This helps ensure that my camera will focus on what I deem important. Some photographers have success in focusing via a method called "center focus—recompose." 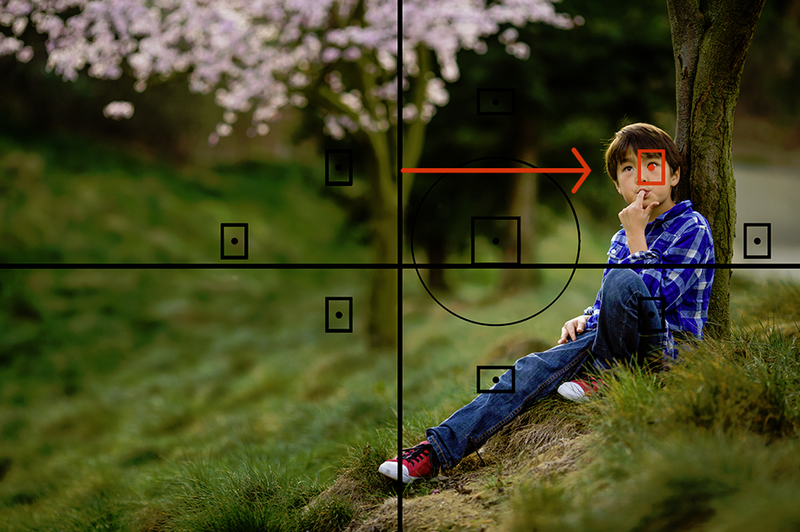 When focusing in this way, the active focus point is always the center point. You simply place your center point on the subject's eye, press the shutter halfway down to get focus, and then keeping the shutter pressed half-way, you recompose your shot to get the composition you want, and fire off your shutter. 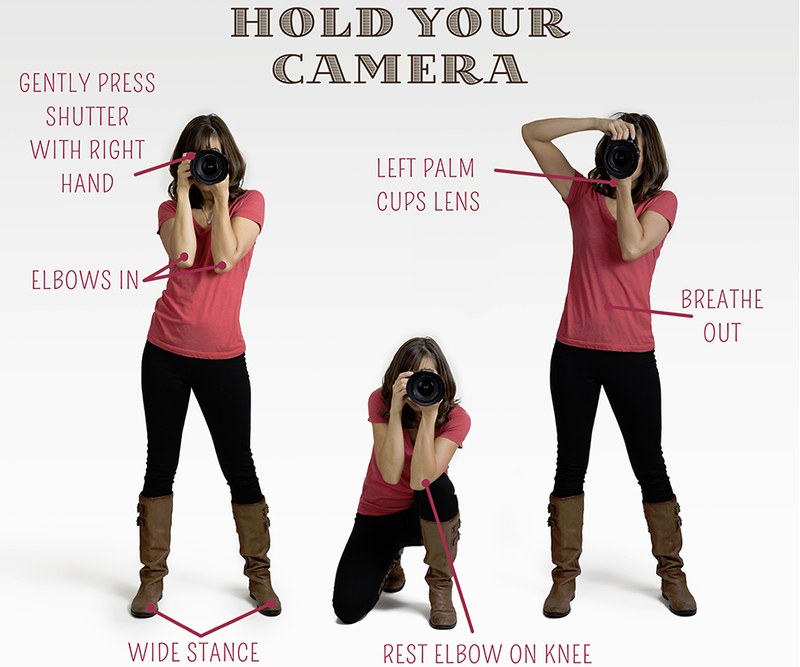 While there are professional photographers who use this method, I have never had success with it. Even though it seems like a simpler way to focus since you don't have to manually move your AF point, I find that I often end up with an out of focus image because while I recompose, I inevitably slightly change the distance between my subject and camera. That said, try it out for yourself and see if it works for you. A fast shutter speed freezes motion. This is critical in getting a sharp image. If your subject is moving faster than your camera can capture, there will be motion blur which leads to a less than sharp image. Likewise, if you are handholding your camera and move the camera when you press the shutter, that movement will decrease the sharpness of the entire image. A general rule of thumb for handholding your camera is it should be 1/the length of your lens. That is, if you have a 200mm lens, your shutter speed should be at least 1/200th of a second. If you are shooting with a 50mm lens, then you should shoot with at least 1/50th. But that is only part of the equation. You also have to take into account the movement of your subject and how much you move when you press the shutter. In general, I try to keep my shutter speed at or above 1/500th when shooting moving children. If you're photographing moving animals, that might need to be even faster. I also know that I am not the most "zen" shooter, moving around rather wildly when I shoot. For example, I love shooting with my Canon 135mm f/2.0L lens, and while the "rules" would say I should be able to get a sharp photo when shooting at 1/200th, I find that I don't get consistently sharp images unless I'm shooting at at least 1/500th. Others might be able to nail focus at 1/200th but I have some sort of genetic predisposition to be a non-zen, wild shooter, so that just doesn't work for me. What can I say? I'm such a rule breaker. Aperture is responsible for your depth of field—how much of your image is sharp and how much of your foreground and background are blurry. When you have a large aperture, designated by a low f/stop number, you'll have a narrower area that will be in focus — backgrounds will tend to be thrown out of focus. When you have a small aperture (a high f/stop number), more of your image will be in focus. Many portrait photographers like to shoot with a large aperture, like f/1.4, f/2, or f/2.8, because this allows their subject to be separated from the background. A background of trees that are blurry and out of focus doesn’t draw the eye as much as the same trees that are much more in focus. So, while the goal for most portrait photographers is a wide aperture, this takes practice. The larger the aperture, the less that will be in focus. This is where getting your AF point right over an eye is critical in getting that tack sharp photo you want. And keep in mind that even the slightest turn of your subject's head could mean that one eye is sharp and the other isn't. That might not bother you in the slightest, which is the great thing about photography. You get to decide what you want in focus and what you don't. My advice here? Practice. If your images are all out of focus when you shoot at f/2.8, try stopping down your aperture a little. Maybe try f/4.0 and see what happens. When you are nailing focus at f/4.0, then try a slightly larger aperture and practice some more! The higher your ISO, the more sensitive the camera is to light. The downside of this added light sensitivity is the introduction of digital noise, or grain. This will be seen in your photos as little dots in the image, more noticeable in the darker parts of your image. This noise will decrease the clarity of your image and make your image look less sharp. In post-production, there is a variety of noise reduction software that can help reduce noise, otherwise known as grain. While it will help clean up noise in the image, use it sparingly because the noise reduction will slightly blur your image so be careful. But nothing beats just having less noise to begin with. And working at lower ISOs, such as 100, 200, or 400 — when you have enough light to do so — will deliver exactly that. As we begin to delve into photography, we can get wrapped up in so many things: aperture, shutter speed, ISO, composition, the subject's expression. But let's get one thing very clear: photography means quite literally "the drawing of light." Without light, there is no photography. While part of getting good light has to do with your ISO, discussed above, there is more to it than just your ISO. If your subject is well lit, they will have light in their eyes, known as catchlights. Those catchlights will give vibrancy and clarity to your image. If you nail focus with a well lit subject, man oh man, you'll know it. Good light will make your image crisper. When there isn't good light, your camera will struggle to lock focus on the eye since there isn't enough light to give contrast to the eye. Your camera needs good light so that there is a clear edge for it to focus on. You may hear the lens whirring back and forth as it tries to lock focus to no avail. Move your subject to a well lit place, and you won't have this difficulty. Stand with your legs apart. When you have a wide base of support, you will be more stable. Tuck your elbows into your body as much as you can. Hold your left palm upwards and place your lens in the palm. By cupping the lens with your elbow tucked in, you greatly improve your stability. Breathe out while you gently press the shutter button with your right index finger. If you're in the middle of breathing or holding your breath, you're more likely to move your camera. I just alluded to it above, but just to reiterate: GENTLY press the shutter. 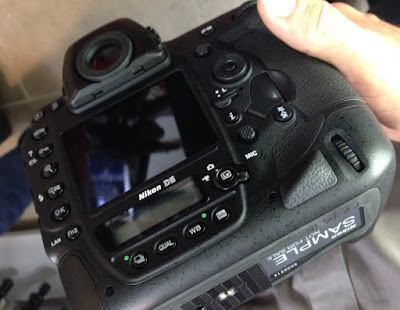 If your stabbing at your shutter button, you are more likely to shake your camera and have a less-than-sharp image. If you are shooting in portrait orientation, rotate your camera so the shutter is on top. Hold the viewfinder to your eye and gently hold it against your face. This helps to keep the camera from moving. If your lens has image stabilization, turn it on. It's a switch on your lens and will help minimize any sort of movement or camera shake you introduce to the camera as you're shooting. 'Nuff said. Your Canon has three different AF Operation Settings, sometimes called Focus Modes. Basically, these set up the AF system for stationary or moving subjects. ONE SHOT AF : One shot is best for stationary subjects. When you shoot with ONE SHOT, you'll hear an audible beep and see a green light inside your viewfinder letting you know that focus has been achieved. If you keep the shutter button half-way down, focus stays locked, and you can re-compose the scene if you want. AI Focus AF : AI Focus is a hybrid between ONE SHOT and AI Servo. It automatically detects when the subject is stationary, and will choose ONE SHOT AF; if there is movement, it automatically will detect this, and will switch to AI Servo AF. I personally don't use this and prefer to choose whether ONE SHOT or AI Servo suits my needs. In some Canon models, you have the option of setting your depth-of-field button, located below your lens mount, to toggle between the ONE SHOT AF and AI Servo AF. I love this feature. I keep my focus mode set to AI Servo, but if I want to use ONE SHOT (which I love because that little "beep" gives me assurance that focus has been achieved), I press the DOF button. Best of both worlds without needing to go into my menu. I love that. 9. Setting your drive mode to continuous shooting when grabbing focus is of utmost importance. I pretty much always have my drive mode set to continuous shooting. This means that if I hold my shutter down, my camera will keep on firing off shots. Firing continuously isn't something you want to do every single time you take pictures. Sorting through a bunch of almost identical photos is a pain, plus it will eat up the space on your memory card pretty quickly. But when getting THE shot is important, shooting in continuous mode can be just what the doctor ordered. It will increase the chances of not only getting sharp focus, but also getting the best moment, the best expression, the best giggle. I couldn't live without back button focus. Well, that's not true. I couldn't live without oxygen. But, back button focus is up there. You know, after food, and water, and, well... you get the idea. Back button focus was another game changer for me in my quest for tack sharp focus that made a wonderful difference in the sharpness of my photos. The basic gist behind back button focus is instead of pressing your shutter halfway down to grab focus and then pressing it down all the way to take the shot, you designate a different button, either the * button or the AF-ON button (in some cameras) to be in charge of focus. 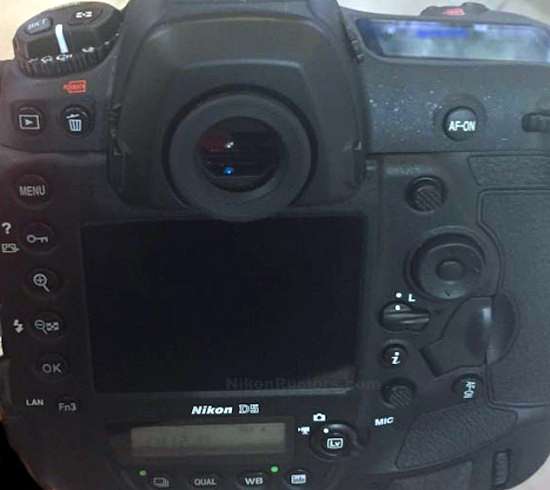 These buttons are located in the back of the camera, thus the term "back button focus." The shutter now only serves the function of taking a picture. It no longer has anything to do with focus. When this method was first brought to my attention, I didn't understand why I would want to ever make focusing any more complicated. Another button to have to deal with? I had enough buttons and dials to keep me plenty busy. But everyone kept saying to just give it a try. And so I finally did. It took some getting used to, but once I had it figured out, I could see an improvement in my focus. Here's a great example of when back button focus made all the difference in my getting a sharp photo. My kids love swings. Don't all kids? They are totally the kids at the park that stalk the swings until a kid jumps off and then they completely monopolize the swing set and unless gently reminded that maybe another kid might want to get on, they just stay on and swing until it's time to go home. But I digress. Because they love swings, I have had many opportunities to photograph them. I like to photograph them at the peak of their swing, as there is a moment of "air time" when they switch directions where I'm more likely to grab focus. Back button focus is my friend here. If I were using the shutter button to grab focus, there is a brief moment where focus has been achieved but the shutter hasn't been fully pressed. In that moment, they can move out of my focal range, thus meaning I miss focus. Missed focus is even more dramatic if you're shooting with a wide aperture (low f/stop number, like f/2.8 or f/2), as your depth of field is quite shallow. But if I'm using back button focus in combination with AI Servo AF (discussed in #8 above), I can hold my thumb on that back button the entire time he's swinging, even when I fire the shutter. This means I'm getting the most up-to-date focus I can get! This image was shot at 1/800th of a second to freeze motion, and because I wanted to ensure that his face would be in focus, and I wasn't concerned with whether or not the background was in focus, it was shot at f/7.1. This allowed for a deeper depth of focus (a great area in focus), which increased my chances of the face being in-focus in the final shot. Back button focus comes in handy not only with swings, but any time you have a fast moving subject where there's a chance they'll move out of your plane of sharp focus. Do your kids play sports? Another great reason to use back button focus. You can be focusing on the star of the game (obviously your kid), and if another child runs in front of him or her, you can just take your thumb off of the back button and keep on shooting. As long as your child doesn't move out of your plane of focus, you can keep shooting, and once the other kid moves, you can use your thumb again to track your child’s amazing athletic moves. I also find back button focus invaluable in getting the composition I want in camera. While I do my best to put my AF point on an eye by moving it to the nearest location in the frame, sometimes I still need to recompose my shot to get the composition I want. If I were taking a series of images with my shutter button being responsible for my focus, this would require me to 1) put the focus point on the eye, 2) press the shutter halfway down, 3) recompose, 4) shoot, and then repeat steps 1-4 for every image taken with that composition. Phooey! By switching to back button focus, I only have to grab focus once, and as long as the distance doesn't change between my subject and me (no one moves), I can fire off a series of images, confident that I'm nailing focus. Here's an example. I knew I wanted to compose the image as seen here. I wanted my son off to the side, leaning on a tree trunk, with the cherry trees in the background. From here, I would recompose and fire off a shot. Because my shutter button is no longer responsible for focus, the fact that my AF point is pointing at something way out there in the background is irrelevant. As long as I keep my thumb off of the back button, my focus will not change and will remain locked on his eye. Now knowing that I have achieved focus, I can wait for him to do something adorable (happens all the time), and fire off shots without ever needing to get focus again. If I used my shutter button to get focus, I would inevitably miss the moment. Ready to give back button a go? Check out this article for more information about the wonders of back button focusing and how to do it with your camera. So there you have it! Follow these 10 tips and you will be rocking the sharp images in no time! We’ve seen a dramatic rise in the low-light capabilities of cameras in recent years, but nothing quite as impressive as the Canon ME20F-SH Professional Multi-Purpose Video Camera. Featuring a 2.26MP full-frame CMOS sensor, the camera captures up to 1080p color footage in extreme low-light environments at a maximum ISO of 4560000. You read that correctly—that’s an ISO of more than 4 million. With that kind of sensitivity, the ME20F-SH can quite literally see in the dark without the need for infrared lighting, delivering images that need to be seen to be believed. This opens up a whole new world of possibilities for wildlife and nature documentaries, astrophotography, deep sea and cave exploration, reality TV productions, and security/surveillance. The astonishing low-light sensitivity of the ME20F-SH is made possible by a 20 x 36mm full-frame CMOS sensor with a native 2.26MP resolution. This gives the sensor enough resolution to deliver 1080p video while at the same time yielding massive individual pixels that are 19 microns in size. 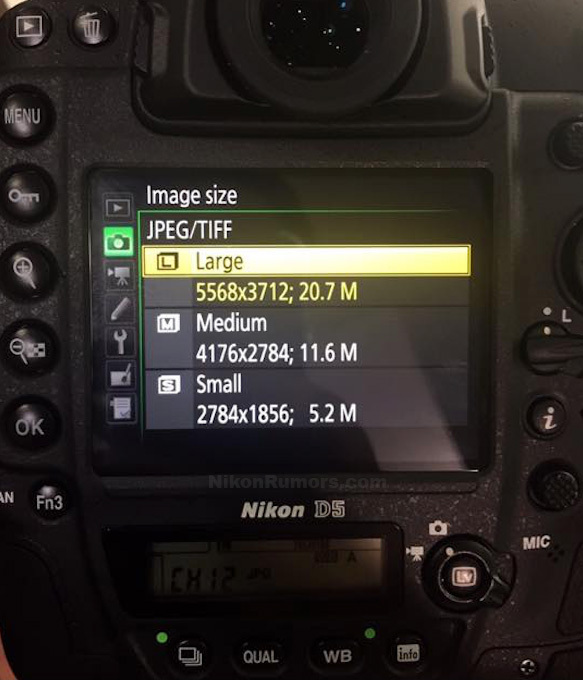 Compare that to the 8.4 micron pixels of the Sony a7S II and you can begin to understand just how large they are. The ability of each pixel to absorb light, combined with a Canon DIGIV DV4 processor and proprietary noise-reduction technologies, results in a low-light sensitivity of 0.0005 lux at its maximum ISO (+75 dB gain). To support its “multi-purpose” designation, the camera is compact, lightweight, and minimalist in design. It doesn’t record internally or have any built-in display, so all recording and video monitoring must be done externally. For interface with external monitor and recorders, the camera features two 3G/HD-SDI outputs and one HDMI output, which support 1080p, 1080i, and 720p video at 23.98, 25, 29.97, 50, and 59.94 frame rates. Additional connectivity is provided for remote control, Genlock, and power. For in-the-field operation, the camera pairs well with a combination monitor/recorder, such as the Atomos Shogun. The output signals are 10-bit, though it is important to note that the image processor only supports 8-bit color depth, so you’re getting 8-bits of effective color information wrapped in a 10-bit signal. The ME20F-SH is equipped with a rugged, Cinema-Lock EF lens mount similar to the one found on Canon’s C500 Cinema EOS camera, making the camera compatible with the wide range of Canon EF zoom and prime lenses, as well as Canon’s range of Cinema Primes. A 12-pin Hirose lens-control port provides support for select Canon servo lenses or 2/3" broadcast lenses (using a third-party lens adapter). Other features carried down from Canon’s Cinema EOS cameras include Canon Log and Wide DR gamma profiles to support up to 12 stops of dynamic range by minimizing the loss of shadow detail and overexposure in the highlights. The availability of these gamma settings also allows footage from the camera to be intercut seamlessly with the Canon Cinema EOS cameras, making the ME20F-SH a viable option as a specialized, ultra-low-light B camera. Now, when the script calls for a moon-lit scene, you may just be able to get away with actual moonlight as your key light, which is pretty mind-blowing when you think about it. So, just how good is the camera’s low-light performance? In the video below, we shot three nighttime scenes and manually increased the gain in half-stop increments from 0 dB (ISO 800) to 75 dB (ISO 4560000). All shots were made using the available lighting of the environment, which comes from buildings, street lights, and the moon. To give a sense of how dark it actually was, for the shots of the George Washington Bridge taken from Fort Tryon Park, I had to use a flashlight to set up the camera and adjust settings. Needless to say, it was dark—especially by Manhattan standards. The results of the above video gives us a good sense of what this camera can do, which is deliver remarkably clean images at high ISOs. It should come as no surprise that as the ISO level increases, so too does the amount of image noise. What is remarkable is just how high you can go with only minimal image noise present. And even when noise becomes more prominent, the fact that you can still make out details and color is impressive. For cinema productions, I’d feel comfortable shooting at as high as ISO 51,200 (+36 dB), but documentarians can definitely push that further, depending on their noise tolerance, perhaps as high as ISO 204,000 (+48 dB). Another thing I noticed while cycling through the ISO steps was that some ISOs appear much cleaner than other ISOs around them. It appears that the ME20F-SH, like many Canon DSLRs I’ve used, have certain “native” ISOs, with the other ISO steps the result of either a digital exposure push from a lower ISO, or a digital exposure pull from a higher ISO. The native ISOs are, naturally, cleaner than the exposure pushes, with the exposure pulls the cleanest of all. This isn’t uncommon, but just be aware that the camera definitely has some ISO sweet spots that you may want to aim for. While optimized for low-light sensitivity, the camera functions well for daytime shots, too. To help you shoot at its base ISO of 800, the camera is equipped with two built-in neutral density filters, a three-stop (ND 1/8) and a 6-stop (ND 1/64). Additionally, the camera features a removable IR cut filter. During the daytime, this filter blocks unwanted infrared light to prevent IR pollution and maintain accurate color reproduction. When working in extreme low-light environments, you can retract the IR cut filter, too, for enhanced sensitivity and clarity, letting you identify objects more accurately within a scene. This is a mode that could prove particularly useful for security work. As impressive as the ME20F-SH is, it really is more of a specialized tool for select shots and applications. Due to the minimalist design, operating it in the field definitely takes some rigging. Fortunately, with 1/4"-20 and 3/8"-16 threads on top of and under the camera, it’s easy to add the accessories you need. In addition to an external monitor/recorder, you’ll want to add a base plate with rod support so you can add handles and a shoulder pad for any handheld work. Additionally, the rods allow you to add a rod-mounted V-Mount or Anton Bauer battery plate, as the camera doesn’t have a battery slot/compartment, but rather 11-17V DC 4-pin XLR and terminal block two-pin power inputs. A P-Tap to four-pin XLR power cable running from the battery plate or the battery itself to the camera does the trick. "What is remarkable is just how high you can go with only minimal image noise present." The ME20F-SH doesn’t have a built-in microphone, so if you want to capture audio while shooting with the camera, then you’ll need to record either off-board and sync to a slate in post, or plug an external microphone into the camera’s 3.5mm stereo mini input. The intended applications of the camera make the lack of an onboard microphone not overly important. But, if you do need to capture audio when shooting with the camera, then this is something to be aware of. For settings adjustment and menu navigation, the camera features rear buttons and a joystick; but remember that you need an external monitor to see and adjust your settings. When monitoring, your settings are displayed at the bottom of the image, with the joystick letting you toggle and manually adjust settings, such as shutter speed, aperture, and white balance. When you’re ready to record, you can turn the displays off for a clean image. If you want to keep your displays active while also recording a clean image, then you’ll have to use the HDMI or 3G-SDI monitoring output to send a signal to your monitor, and the secondary always-clean 3G-SDI output to send to a recorder. When operating in the field, you’ll often be using a single monitor/record unit, so you’ll have to turn off your displays before recording. In addition to manual controls, the ME20F-SH offers auto iris and gain functions for exposure control, as well as One-Shot AF and auto white balance. This lets you capture footage on the fly without having to worry about fumbling with the rear buttons or having to worry about turning your settings on and off. It is also ideal for when the camera is in more permanent installations, such as when used for security/surveillance purposes. For studio use, the camera can also be controlled remotely using the optional RC-V100 Remote Controller via the 2.5mm mini output, or a compatible third-party control unit via RS-422 using 8-pin remote connector. The Canon ME20F-SH presents itself as a unique tool for a wide range of applications. Part cinema camera, part surveillance tool, part studio camera, the camera is ready to serve anyone who wants to capture images in extremely dark conditions without having to sacrifice color or resort to infrared lighting and sacrifice nature color reproduction. While it isn’t necessarily meant to be an “A” camera for most productions, I’m sure wildlife and nature documentarians, cave and deep-sea videographers, and astrophotographers in particular, will be champing at the bit to try out the camera. With its ability to capture previously impossible shots, the ME20F-SH could help reinvent the very look and feel of ultra-low-light videography. Exciting times are ahead. Another new patent from Canon for the EF-M 55mm f/3.5 Macro was discovered by Egami, the Japanese blog. Canon is working on a full frame mirrorless camera. It should not require an adapter to use the full line of EF lens like the current EOS-M mirrorless camera. There will be more EF-M lens coming in 2016. The Canon EOS-1D X and EOS-7D Mark II can shoot at burst rate of 12 fps (14 fps with mirror lockup) and 10 fps respectively. Ever wondered how their mirror mechanisms achieve this amazing speed? 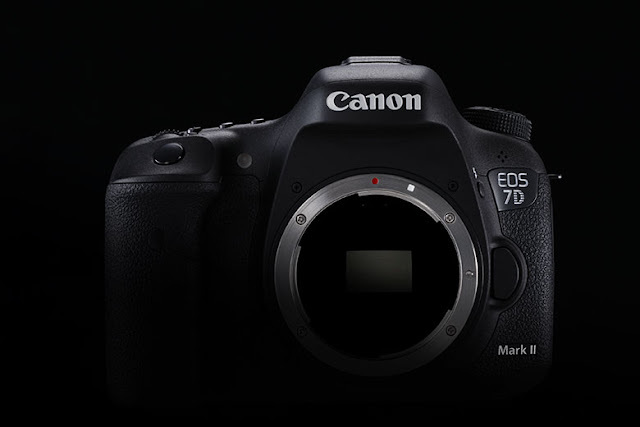 The video below shows how the EOS-7D Mark II does it. 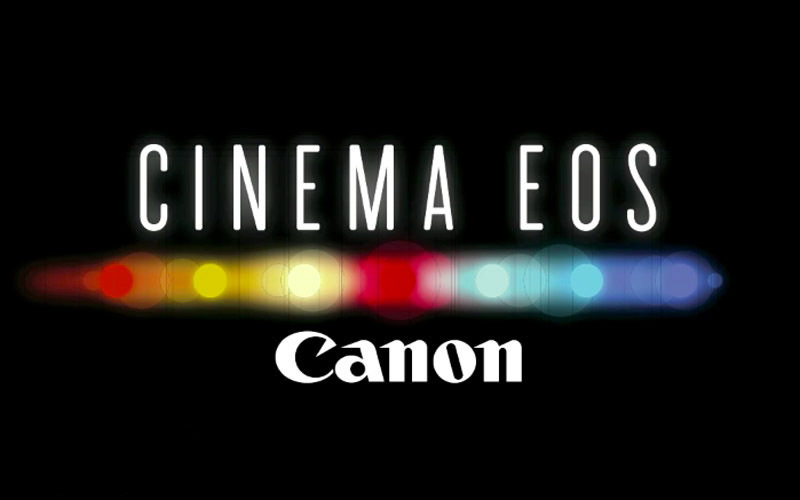 Canon will be showcasing its industry leading Cinema EOS range at BVE 2016 (Stand G12), giving visitors the chance of a hands-on demonstration in a live shooting set up. Following a highly successful demonstration at BVE 2015, Canon will once again be recreating a live shooting environment allowing visitors to experience the company’s iconic Cinema EOS range, including the C100 Mark II, C300 Mark II and C500 camera models. 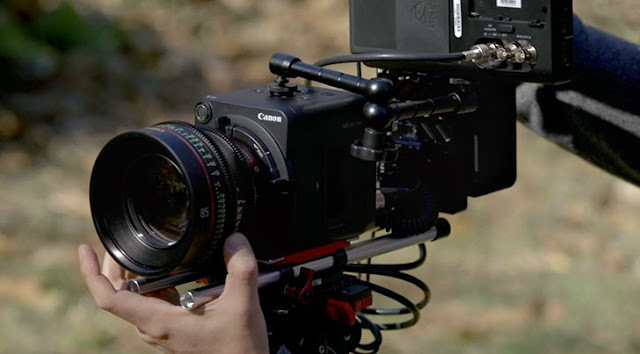 Visitors to the Canon stand will be greeted with an immersive experience that also features Canon’s 8K monitor, 4K Optics, cine servo and cine prime lenses as well as a DSLR counter for testing Canon’s range of DSLR cameras. Taking place on 23th to 25th February, 2016 at ExCeL London, BVE (Broadcast Video Expo) is Europe’s premier broadcast and production technology event, showcasing technologies and services for the production, management and broadcast of audio visual content. 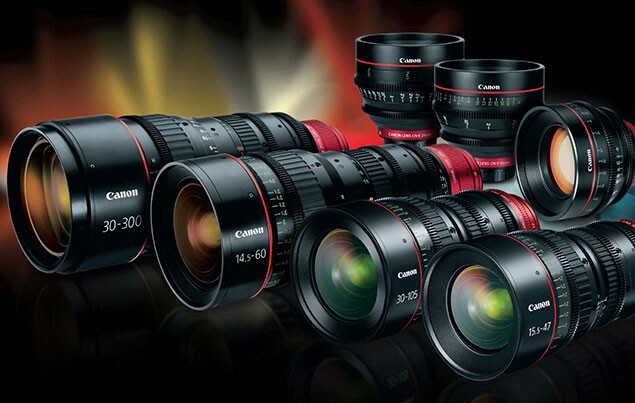 Visit Canon at BVE on Stand G12. 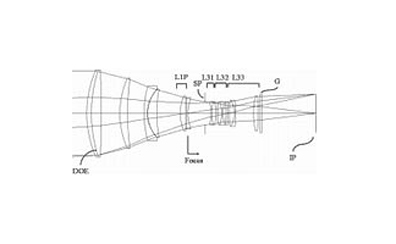 The Japanese photography site Egami uncovered another new Canon patent, the EF-M 600mm f/5.6 DO IS. I am quite comfortable in predicting this patent will most probably never make it to market as is. The thought of a 600mm DO lens mounted on the EOS-M camera can only bring ridicule but it may be modified to fit the future Canon full frame mirrorless camera. This is clearly Canon's way of staking out their intellectual property by patenting this invention. The current EF 400mm f/4 DO IS II is my favorite Diffractive Optics lens for wildlife photography but there is a chance the EF 600mm f/4 DO BR lens might join its smaller brother next year. Canon Japan's Store is selling a miniature EOS-5Ds replica camera with two L lens flash drives. 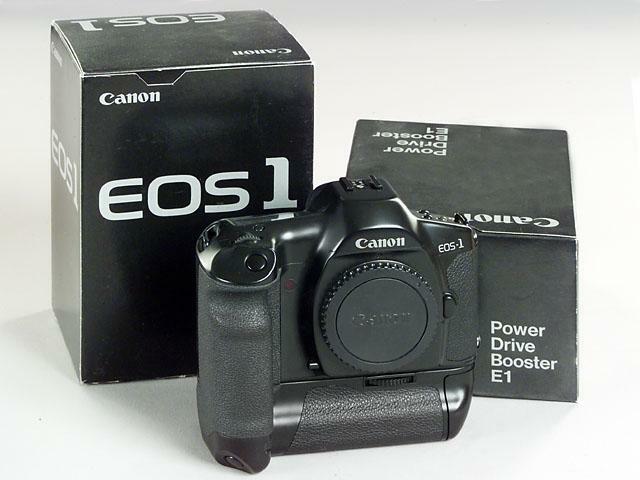 This is an official Canon product and it also comes in the EOS-1D X version as well. The miniature cameras are an exact 1 : 2.6 scale replica of the real DSLR bodies. The set includes the camera, USB extension cable, detachable body cap, USB cover and a miniature camera strap. The prices for the Canon 5Ds, EF 24-105mm, and EF 70-200mm lens kit sell for ¥9,980 (about $83) each or as a package for ¥19,960 (about $160). The current inventory has been completely sold out and replenishment should arrive some time after the New Year. 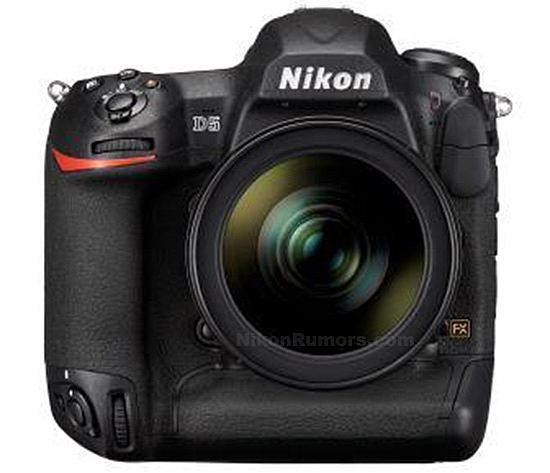 Nikon D5 Photos Leaked. 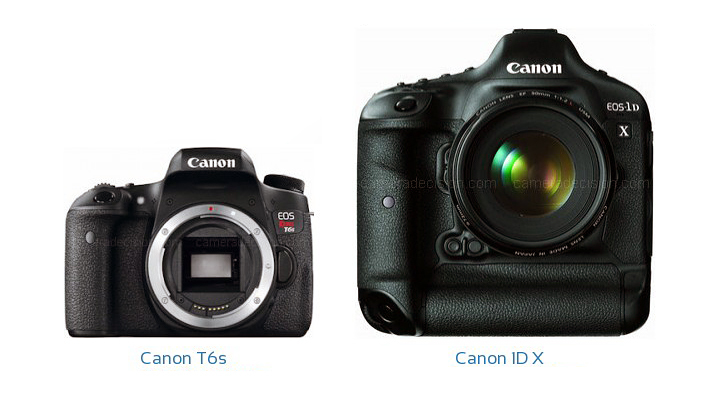 Canon EOS-1DX Mark II Next? The long awaited Nikon D5 camera photos have leaked. You can see them in my earlier post. The camera will probably be announced during the upcoming CES 2016 in Las Vegas in January. 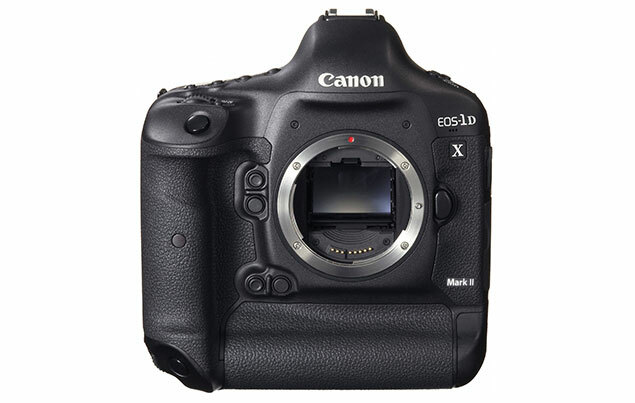 The Canon EOS-1D X Mark II camera will soon follow. I am in Central California on a short wildlife photo shoot to test out my Canon EOS-5Ds. My readers know I have recently retired my venerable EOS-1Ds Mark III and replaced it with the new 50 megapixel camera. There is a highly-rated merchant on eBay selling an open box but new Canon EF 500mm f/4L IS II Super Telephoto lens for $7,999 including free shipping. The list price is $8,999. This is my favorite prime Super Telephoto lens as The Wildlife Ho-tographer and you can see how this lens is manufactured in the Canon factory in Japan. I have taken this lens all around the globe on photo shoots, from the high Arctic to the Southern Ocean. See my lens recommendation for nature and wildlife photography. In my earlier post, I have written about the Nikon D5 camera perhaps being announced for the upcoming CES 2016 in Las Vegas in January. Now leaked photos of the new camera are out. 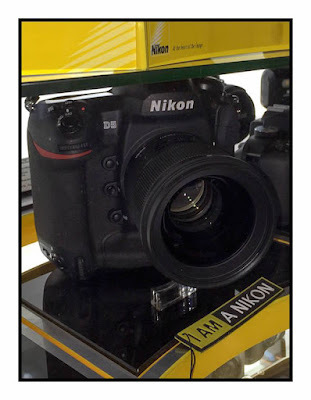 This new DSLR is being mass produced right now at Nikon's Sendai plant in Japan. That means the announcement cannot be far behind and the Canon EOS-1D X Mark II camera will soon follow. Keep checking back. More to come . . . .
My readers know I am The Wildlife Ho-tographer but also do a little travel photography now and then. Recently, I came across the works of Fan Ho (no relation to me), an exceptional 'street' photographer with a keen eye on composition and a master of light. Mr. Ho is in his 80s now and his photos deal mostly with street scenes from 'old' Hong Kong. Ted Forbes from The Art Of Photography put together the video below and analyzed the photos and composition of Ho's work through the decades. You can also see a tongue-and-cheek video from DigitalRev on street photography, expectation vs reality. Take a look at my other post on how to do street photography with an inexpensive camera. To arrange to have an affected unit inspected and serviced for this phenomenon at no cost, please contact Canon using the information below. This time of the year, as you are contemplating on Christmas presents to give others or yourself, your thoughts may turn to your first DSLR camera. Perhaps you or someone on your list may be upgrading from a point-n-shoot or smartphone camera and want to get more serious into photography. My readers know I have been a wildlife photographer using Canon equipment for 25 years. My fascination with world travel, nature and wildlife photography started from a young age. 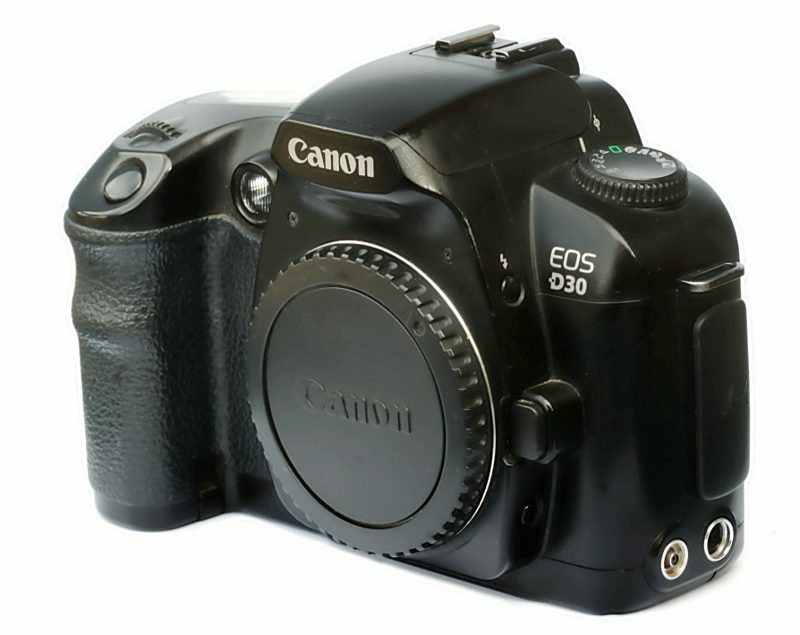 Minolta was my first SLR camera and eventually I ended up with the Canon EOS-10 and EOS-1 SLR cameras. When the digital D30 came out in 2000, I agonized over the high price but bought one in the end. It opened my eyes to the possibilities of digital photography. To me, photographing wildlife can be very frustrating sometimes. Huge expenses, long days of traveling and waiting come down to a few crucial shots. The instant feedback of the DSLR improves the odds. No advertisement or commission from equipment manufacturers and sellers are accepted on my website and blog. My observations and recommendation come from years of field experience. You can see my equipment bag and works on MichaelDanielHo.com. A combination of the above gear will go with me on my photo shoots, depending on need. Occasionally, I will get a loaner from Canon for evaluation but I always own the equipment that are essential to my work and I have access to other equipment when needed. Take a look at my post for the best Canon DSLR and PowerShot cameras. The video below from DigitalRev offers a bit of levity to those shopping for their first DSLR camera. 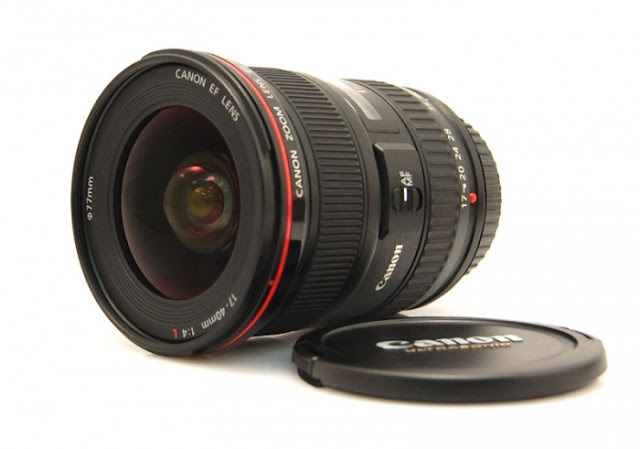 Canon EF 50mm f/1.4 II Lens Coming Soon?